April is National Alcohol Awareness Month. How much do you know about alcohol and its interactions with the body? Responsible alcohol use is paramount for health. According to the Global Burden of Diseases study, which analyzed levels of alcohol use and its health effects in 195 countries from 1990 to 2016, no amount of alcohol use is safe. Experts say that about five percent of cancers are linked to alcohol. The Centers for Disease Control and Prevention currently recommends women limit alcohol consumption to one drink per day and men two drinks per day. Learn more about how alcohol interacts with your body. “Based on per capita consumption from alcoholic beverage sales data, the average American drinks roughly 1.35 drinks per day, 9.5 drinks per week and 494 drinks per year,” Aaron White, senior scientific advisor to the National Institute on Alcohol Abuse and Alcoholism (NIAAA) director told USA Today. Once alcohol enters your system, it causes immediate physiological changes in your brain, heart, and liver–among other organs. Did you know that alcohol is a depressant? It slows down your brain activity, Healthline reports. The popularity of alcohol use is because of the chemical response it causes on your brain/body. Alcohol prompts your body to release the neurotransmitter, dopamine which causes pleasure and satisfaction. It also triggers the increase of another neurotransmitter called GABA which can help alleviate stress. People react differently to different amounts of alcohol based on genetics, gender, age, and body composition. As a matter of fact, muscles absorb alcohol faster than fat so people who have more muscle to body fat have higher alcohol tolerance. The long-term consequences of chronic alcohol use are substantial and should be considered when thinking of your overall wellness now and in your golden years. “Drinking too much in one sitting can cause acute harm to the body, but drinking too much over time can cause chronic physical and mental health issues. 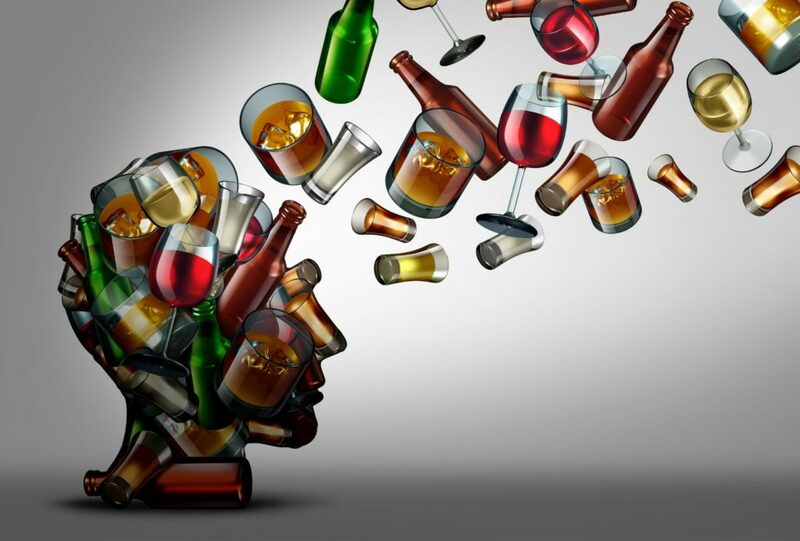 Liver damage, cardiovascular disease, and cancer are the most dangerous long-term side effects from heavy drinking; however, struggling with alcohol abuse or addiction can also trigger mental illness,” Alcohol.org said. Drinking alcohol augments your risk of cancers of the mouth, esophagus, pharynx, larynx, liver, and breast, the NIAAA said. Alcohol use is a significant risk factor for dementia. If you are a current alcohol user, help us determine if your use habits threaten your current or future way of life with an in-office consultation and health screening. Learn more below! How healthy are you and what changes do you need to make? Our team at Balanced Well-Being Healthcare can help you answer these questions with YOUR data. We help you achieve your wellness goals with our comprehensive, customized treatments and state-of-the-art testing tools.